Tomorrow, March 17th, marks my 3-year blog anniversary. Hurrah, let's have a giveaway!!! I'm celebrating 3 years of blogging with a giveaway, where there will be a Grand Prize Winner and several Secondary Prize Winners. In addition, all patterns in my store & ravelry shop are 25% OFF for the rest of the month when you use the code "3BLOG" before you checkout. 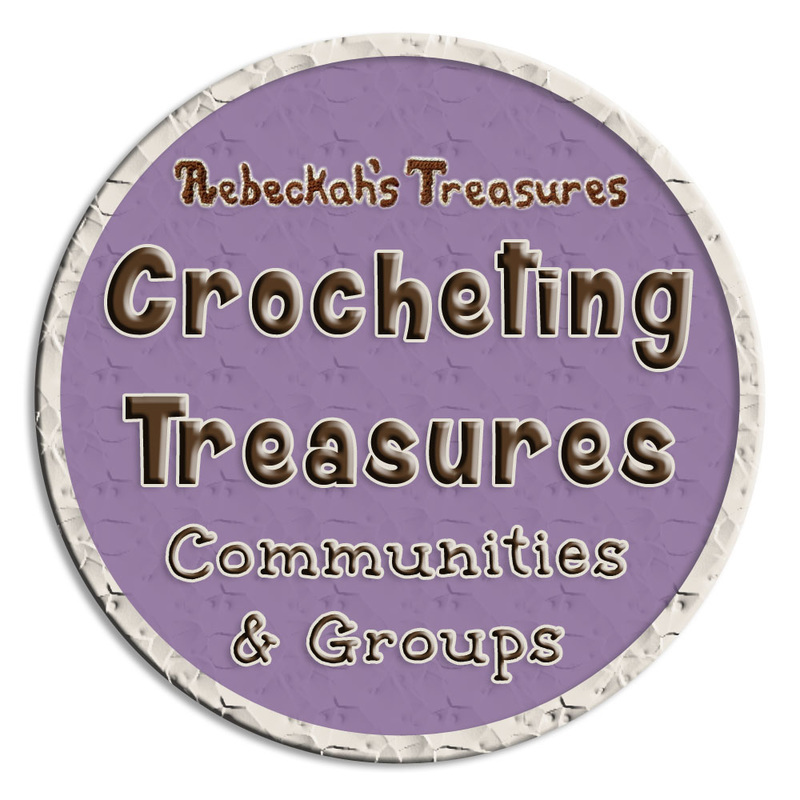 Grand Prize Winner will have the option of choosing 10 free crochet patterns of choice OR a $50 gift certificate from Rebeckah's Treasures to be used in her shop. 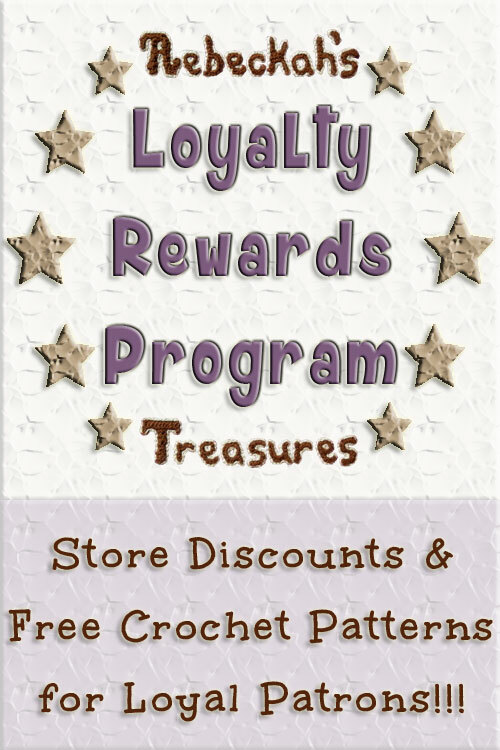 1st Secondary Prize Winner will have the option of choosing 5 free crochet patterns of choice OR a $25 gift certificate from Rebeckah's Treasures to be used in her shop. 2nd Secondary Prize Winner will have the option of choosing 3 free crochet patterns of choice OR a $15 gift certificate from Rebeckah's Treasures to be used in her shop. THREE – 3rd Secondary Prize Winners will each receive 1 free crochet pattern of choice from select crochet patterns by Rebeckah's Treasures. Additional Winner(s) may be chosen to receive free prizes and discounts from Rebeckah's Treasures depending on varying factors. In addition to the above prizes, all winners will receive a 50% discount voucher to be used in Rebeckah's Treasures store before the end of this year. *This giveaway is OPEN WORLDWIDE to persons who are 18 or older. Void where prohibited or restricted by law. How can I enter this giveaway? 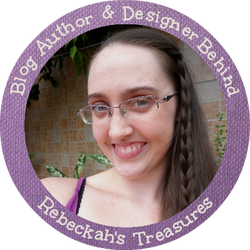 Leave me a comment below... Answer this Question: How did you discover Rebeckah's Treasures? *If you do not comment below, ALL of your entries will be disqualified. Once you have commented ENTER it into the Rafflecopter below. *If you don't do this, I won't be able to count your entries. *OPTIONAL STEP: Do as many of the additional daily options in the Rafflecopter below for additional entries and more chances to win. 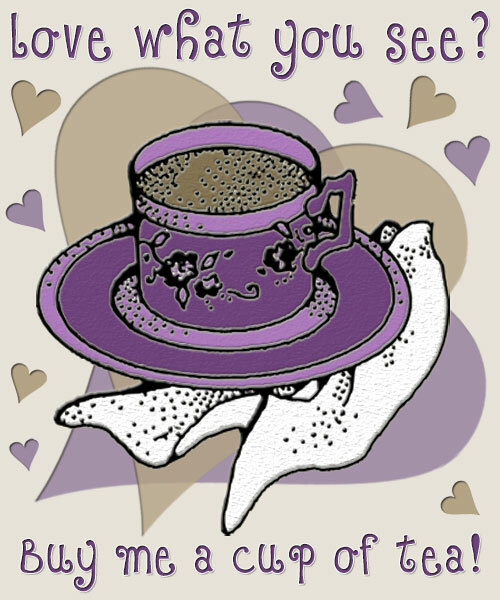 Options include commenting on any article/post from this Blog, following Rebeckah's Treasures on Twitter, favouriting my designs on Ravelry, Pinning Images from my Boards and Tweeting about this Giveaway. Keep an eye out for the winners to be announced the afternoon after giveaway ends. And be sure to follow Rebeckah's Treasures on her social channels to keep up to date! Remember to check back daily for additional entries and chances to win. 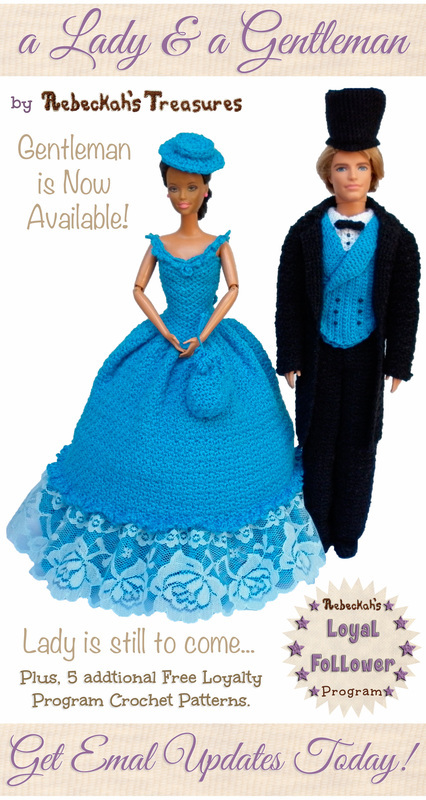 You can find all of Rebeckah's Free Crochet Patterns HERE, and browse all of her crochet patterns in her ravelry designs page and this website store. Be sure to sign up for my Email Newsletter and follow me on my social sites so you never miss a beat!